We all know kids love to play, but if your kids have been spending most of the summer having fun, they may be in for quite a shock when school finally hits and they are back in “learning mode”. Try getting them prepared ahead of time by playing games that are both fun, yet stimulating and educational at the same time. Playing games is beneficial for learning and spending family time! For older children, it can be about enhancing skills they already have and just spending quality family time. Be sure that the games you are choosing for your child are age appropriate. If you pick out a game that is too hard, your child may get frustrated and give up, no longer making the learning opportunity fun for anyone. Many companies make junior versions of games, or design games specifically for young children. I recently had an opportunity to try the game Chain Letters with my kids. Patch Products provided us with the game for free so we could try it out. What I really like about this game is that I can tie it into things my son should be reviewing over the summer. The basic premise of the game is that you use the letters in the game and link them together to make words. Each letter used is awarded points, so the better the words, the more points you get. Since I wanted this game to be fun for my whole family to play (my daughter just turned 4), I modified the game a bit, and used the word wall we have posted in our kitchen as a reference point. 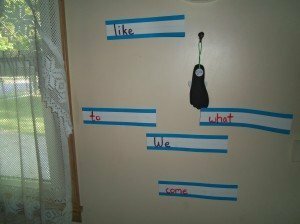 These are sight words my son should be able to recognize, so allowing both my kids to find the letters that can spell out the words not only reinforced his mastery of the words, but helped my daughter gain new skills as well. 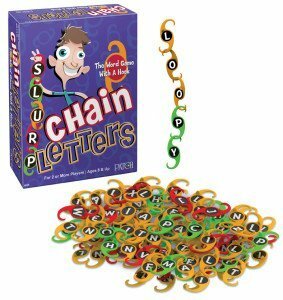 The only thing I didn’t like about this game was that you had to stick all of the letters on both side of the plastic pieces one by one. If the letters had come pre-printed on the pieces it would have been much nicer. There are a lot of letters in this game, so it took a while to get them all ready to go. Older children may want something a bit more challenging. There are numerous options available, and you should really just pick something everyone will enjoy playing. 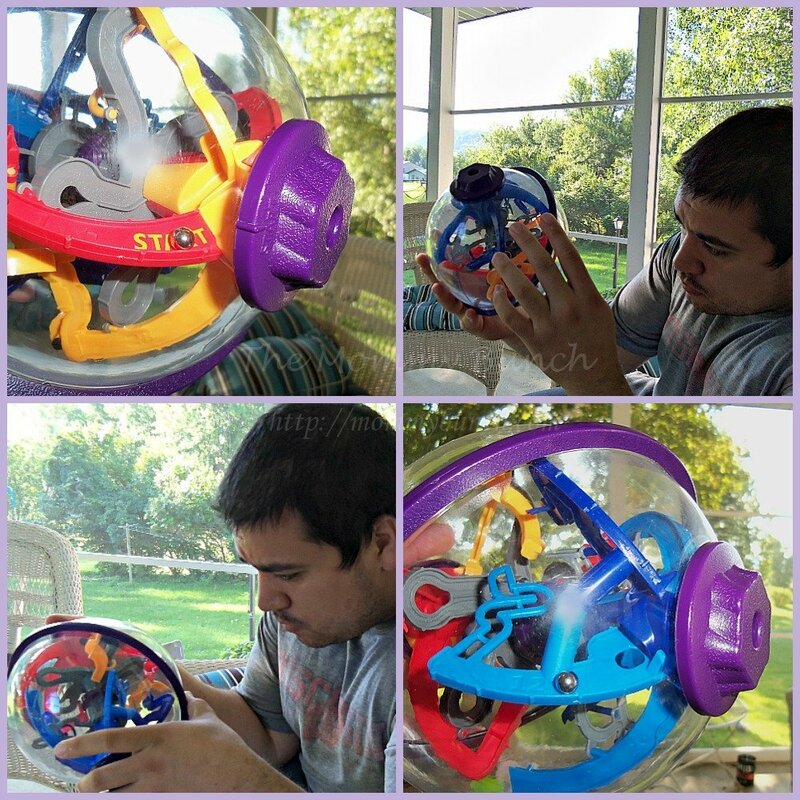 We tried out Perplexus Twist as a family. My kids are a little too young to really get how to work the game, but they were excited to give it a try. The game is simple. Get the little marble from the staring point to the end. I have yet to be able to get this ball past move 12, but my husband is getting pretty good at it! No one has reached the end yet, but we all have fun taking a turn and trying our luck once someone gets frustrated and gives up their turn. 🙂 It is a tough game for sure, but one that can really get a bored teenager to think critically and use their minds to figure out a problem. Do you have a favorite game you like to play with your family? How do you help your kids continue to learn while out of school?